Two large pink/purple skimmers have been recorded in Arizona: one (Roseate Skimmer) is common and the other (Carmine Skimmer, Orthemis discolor) is a rare vagrant. Both species are of same sizes and behave similarly. In northern Mexico they are often seen together and occur in a wide variety of habitats. 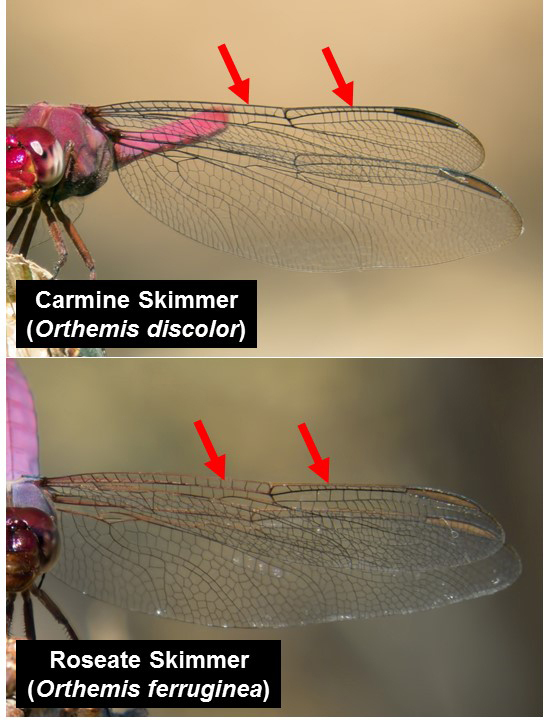 The distribution of the Carmine Skimmer in Texas is increasing (Paulson 2009) and in the future this species may also be found with increasing frequency in Arizona. 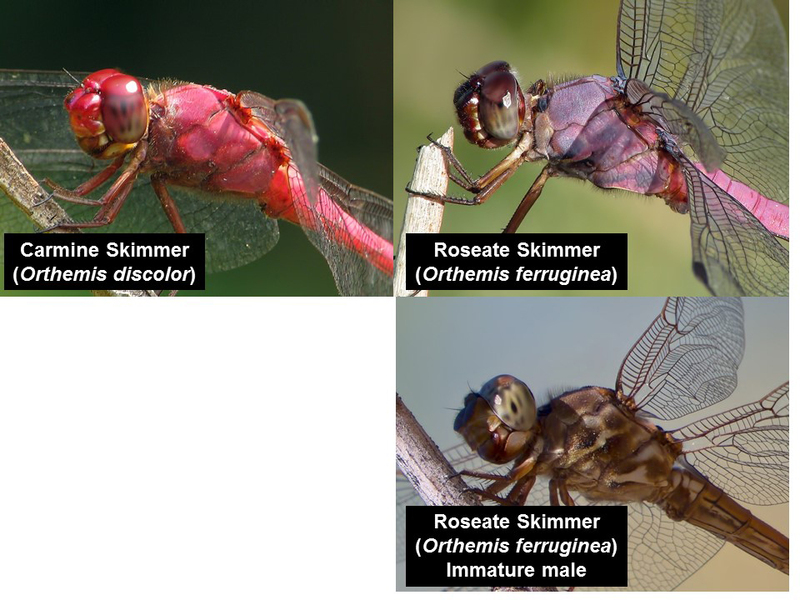 To separate mature male Roseate and Carmine Skimmers, focus on the eye and face colors and on the thorax color pattern. Carmine Skimmer: eyes and face red, more or less of the same color as the thorax and abdomen.